If you find yourself in high noise levels on a daily basis or even on an occasional basis, the use of noise protection products can be an effective method of maintaining good hearing and good physical and mental well being. Unprotected exposure to unsafe levels of sound will cause immediate discomfort, but more importantly, may result in permanent damage! Many manufacturing and industrial workplaces produce unsafe noise levels, as do a lot of activities that we enjoy for recreation, such as sporting events, concerts, and even movie theatres. Anyone who finds themselves regularly exposed to high noise levels should have their hearing tested regularly. At the time of your test, be sure to discuss your specific noise environment with your hearing health care professional. Recommendations can then be made regarding the need for protection and the specific kind of protection. The loudness or intensity of sound is measured in decibels (dB). The human ear can detect very soft sounds - 0dB of intensity - and can tolerate sounds without pain up to 120dB. Above 120dB, pain is often experienced and brief exposure can injure an unprotected ear. For every 3dB of additional noise exposure, the amount of safe exposure time is cut in half. 140 Jet engine, gun blast, noise causes pain and even momentary exposure injures unprotected ears. 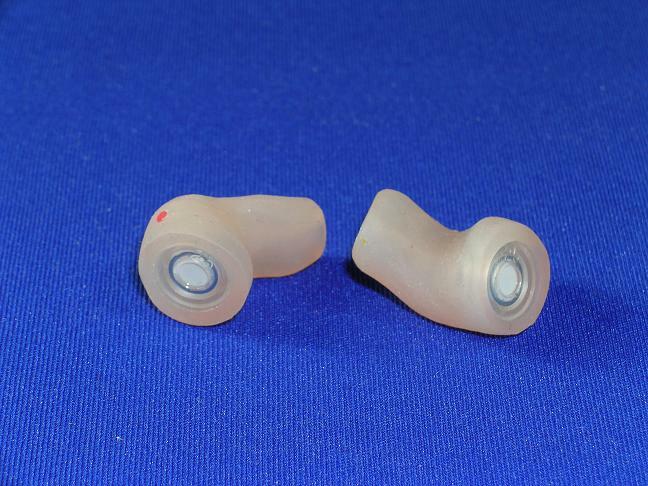 Maximum allowed noise WITH hearing protectors. Where the highest possible attenuation is required, these plugs will provide a maximum of 28 dB of constant protection. They are ideal for those who find themselves in extremely loud environments. With proper care, these plugs are actually less expensive than disposable foam plugs due to their long lifespan, and are far more comfortable. Most commonly made with a full concha, using silicone material, they are available with optional handles, cords, clips and colours. For more information on what colours we offer, please click here. 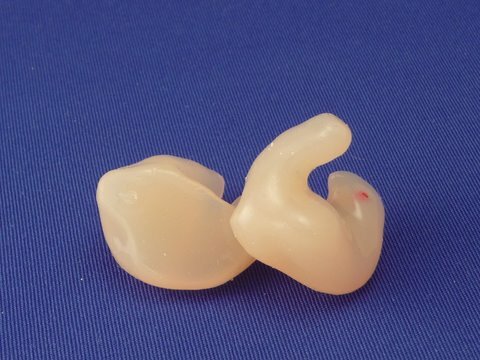 For a client who needs hearing protection, but still needs to hear speech, this style excels. By using an acoustic filter, minimal low-frequency attenuation is provided (allowing normal speech), but attenuation in the high frequencies is much higher. Filters are available from 680 Ohms to 4700 Ohms; with a linear increase as the value of the filter is increased. Available with the same options as the solid noise plugs. For a detailed monograph showing the various attenuation values, please click here. By using a Select-A-Vent tree with varying sizes of insert, the client may control their own level of attenuation depending upon their situation. Certain professionals such as dentists and hygenists, music teachers, or anyone who tends to speak louder than they need to will find an increase in their voice quality. As with the Acoustic Filtered Plug, there is a greater level of attenuation in the high-frequencies than the lows; meaning that this plug is also suitable for light to medium manufacturing. Available with the same options as the solid noise plug. For a detailed monograph showing the various attenuation values, please click here. 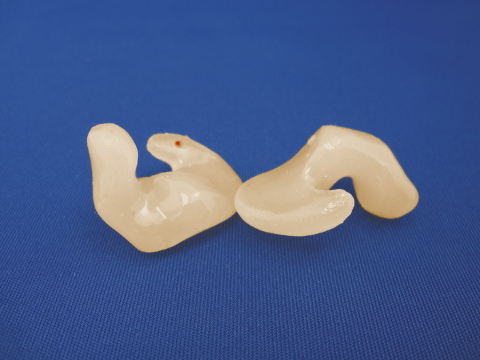 Sculpted carefully to follow the contours of the ear precisely, this style has been designed specifically for comfort while sleeping, protecting effectively from noise in case of nearby workyards, poorly soundproofed buildings, or simply from a spouse’s snoring. As it is cut thinner than the solid noise plugs, this style is also of benefit to motorcyclists, or anyone who needs to wear a helmet overtop of hearing protection. Designed by Etymotic Research, the real-ear attenuation levels of these plugs are as flat as is possible, for the truest sound at precise 9, 15, or 25 dB levels of reduction. 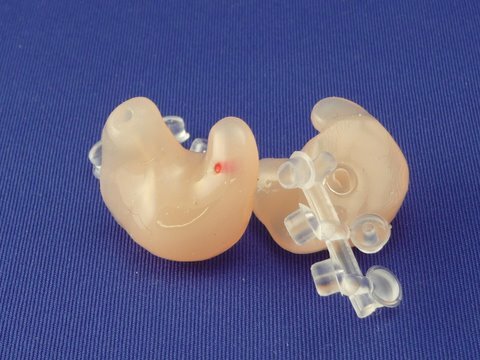 These are well-established as the finest product of their kind available today, because the wearer will hear all sounds naturally, clearly, and accurately, but at a reduced level. Musician’s Plugs are perfect for professional musicians, sound engineers, and music enthusiasts. 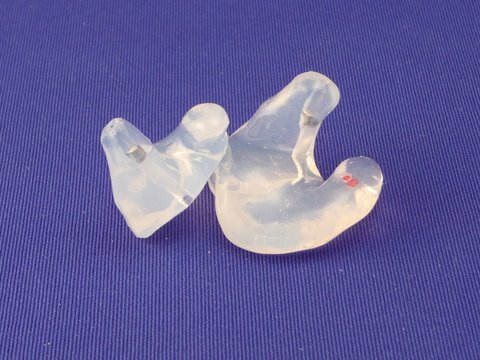 They are also excellent choices for anyone who desires clarity and understanding while recognizing the importance of hearing protection. For a printable brochure detailing the advantages of the ER Musician Plugs, please click here. Complete technical literature is available on request.